XRM vs CRM: What is XRM? Become an all-in-one data source for every department. With so many advances in software solutions, features, and add-ons, knowing which program to use can be a leap of faith. Your business may be looking for a modern marketing program, or just a way to organize and boost productivity; now you can do both and more with XRM. An XRM solution utilizes a CRM platform to manage more than just relationships with clients; it can manage employees, processes, partners, assets, suppliers and just about anything else a company wants to keep track of in a database. It’s kind of like Play-Doh because of its flexibility to meet practically every business need. 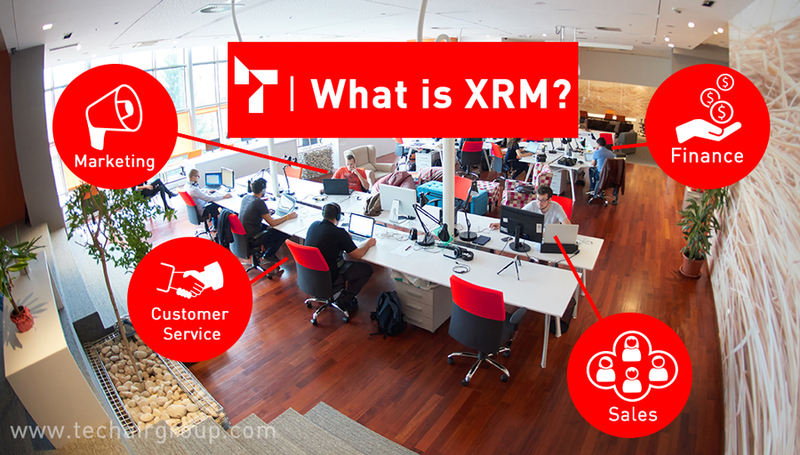 From CRM to XRM: What does XRM mean for your business? What started out as a way to maintain and monitor customer relationships is now a platform that enables virtually limitless customization to link all of your data sources into one central location. Your company’s e-mail, marketing, processes, partners, assets, suppliers, and general workflow are integrated into one easy to use XRM solution; from anyone to anything. Is Your Software A Step Behind? The program or programs your business uses may not be proving their worth in regards to ease of use, speed, or workflows that make sense for even your most basic business needs. For sales, marketing or customer service, many programs fall short of an integrated XRM solution. A common problem with certain CRM systems is that they are hard to use alongside your other business applications. Although some have proven to be successful, applications that have been built from scratch are hard to combine and use effectively – especially when they only serve one purpose in your business goals. Without the help of a professional XRM consulting company, it can be nearly impossible to know exactly how to use a CRM to benefit your business needs the most. Professional XRM consultants can make what seems impossible a reality. They have the power and knowledge to build out a CRM solution to be exactly what you need it to be. Not only will they install the CRM, they can integrate and migrate data from old systems or other platforms. They can set up workflows and automation with the CRM to meet various department’s needs, and ultimately transform a MS Dynamics CRM implementation into an XRM solution. As mentioned above, the CRM technology of today has much more capability than merely managing your customer base like a traditional CRM of old. It’s about organizing your customer relationships along with the internal relationships of your business, monitoring the 360° view of your customer satisfaction, cumulating data and universally organizing the ‘things’ and people in your business circle. Microsoft Dynamics CRM, named Industry leader in CRM magazine and awarded several titles in market leadership, is the integrated platform that TechAir Group trusts and recommends to our clients. Through MS Dynamics, we have found solutions for both large and small-scale businesses, with mobility, data and department communication. It has proven to work with important business applications like Click Dimensions and Yammer, and has the familiar and easy-to-use format already found in other Microsoft Office suite products. Through experience and existing technology, Microsoft’s software provides a strategic view of your business. A teacher uses it to organize grades and class manifests, while a landlord will use it to organize payment records and keep renters updated. Additionally, a city government may use it for zoning and planning. Almost any industry can benefit from the central management system provided by Microsoft Dynamics CRM. TechAir Group works with Microsoft Dynamics CRM to ensure a tight fit with clients. Our mission is to unlock your growth potential by providing your business with tools it needs to solve problems, increase efficiency and productivity, and ultimately to succeed. Learn more about TechAir Group’s CRM related services and Microsoft Dynamics by visiting our solutions page.